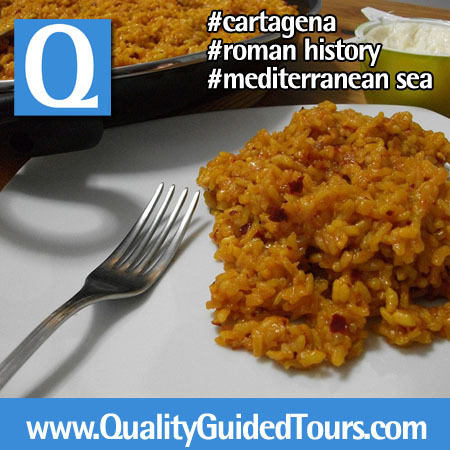 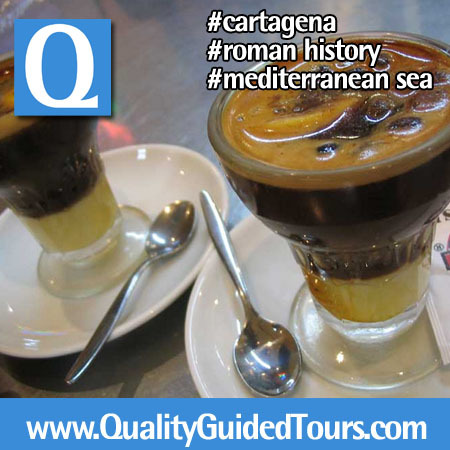 Meeting point: for shore exc: Mare Nostrum Restaurant (Cartagena´s harbor), for private guided tours: at your hotel. 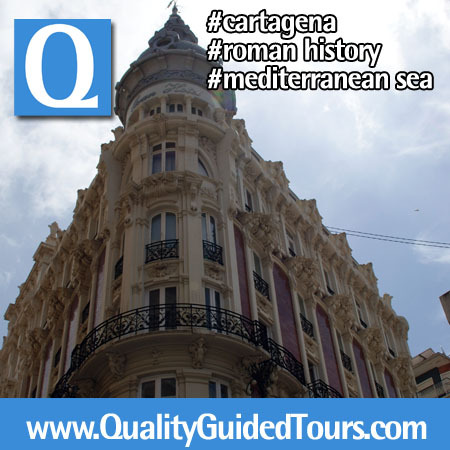 Private shore excursions to Cartagena. 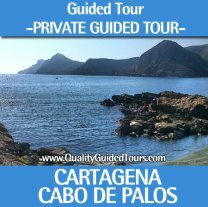 Your private tour guide in Cartagena will be waiting for you at the harbour or will pick up you at your accommodation (hotel, apartmen, etc). 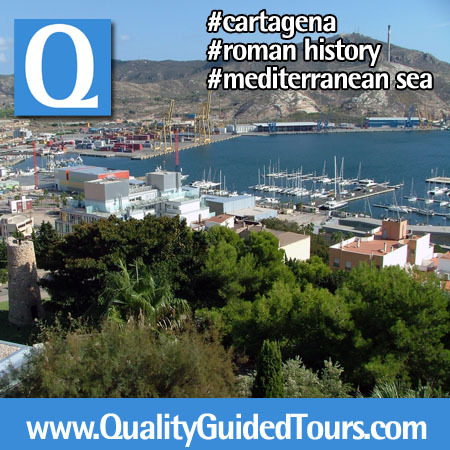 Begin your Cartagena Spain 5 hours private shore excursions at La Manga, a strip of land that stretches for 24 kilometers. 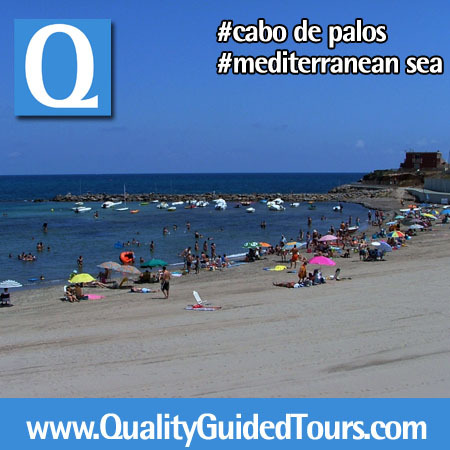 The strip was formed over time by sand deposited by the area’s dominating currents. 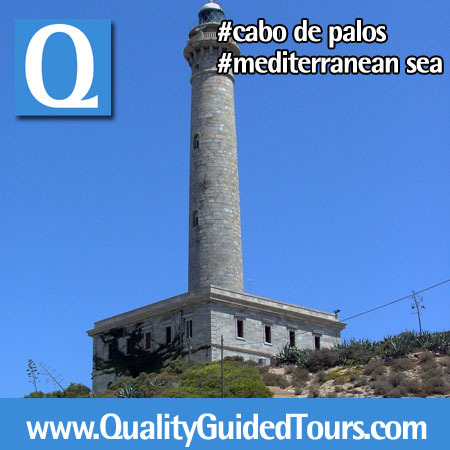 As you drive back to Cartagena you’ll stop to see the Cabo de Palos lighthouse to enjoy one of the best views near the cape, the natural beach, etc. 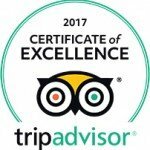 The lighthouse began operations in January of 1865. 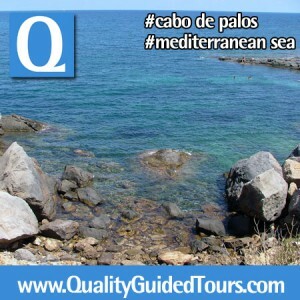 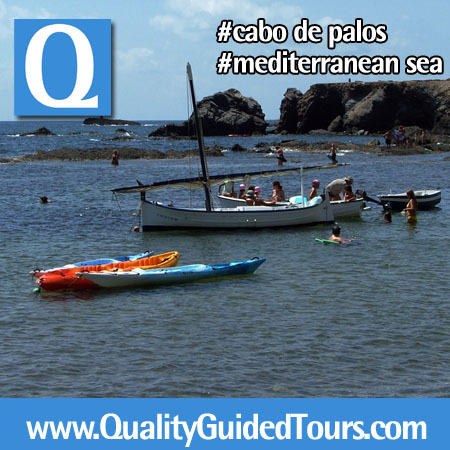 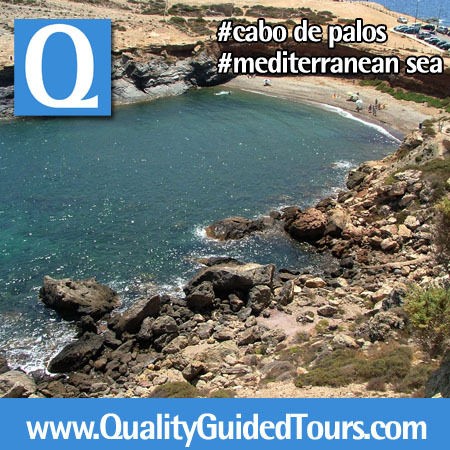 The cape is part of a marine reserve, called the “Reserva Marina de Cabo de Palos” e Islas Hormigas. 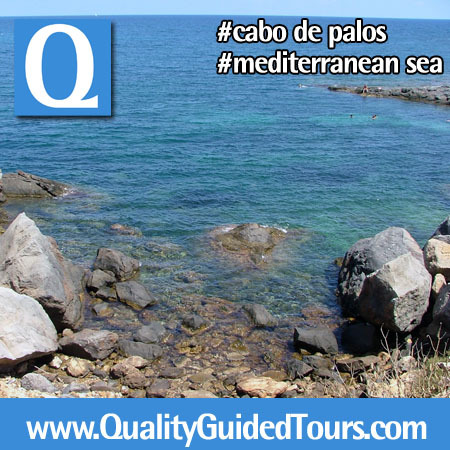 On the way back to the city you’ll also see Portman Bay, which has a mining history dating to Roman times. 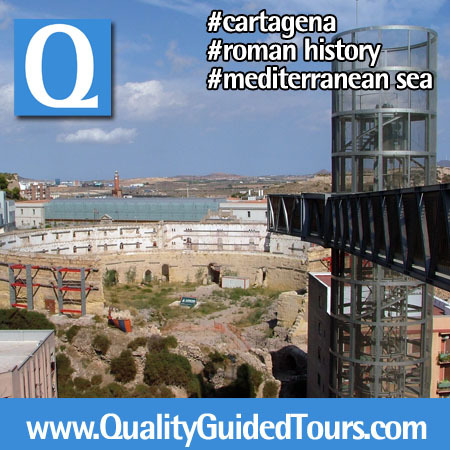 Its location adjacent to important mines has made the Bay a key spot from the Roman period through the 20th century, when the mines were closed. 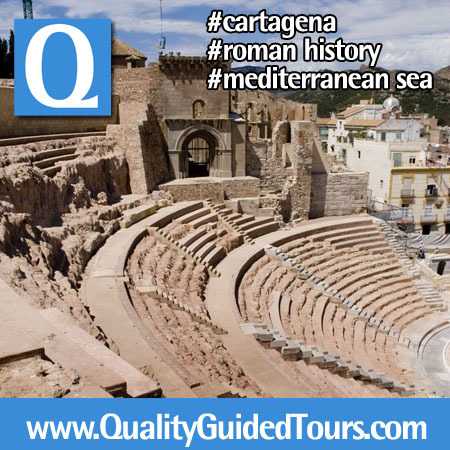 Continue this Cartagena Spain 5 hours private shore excursions along the road to the castle known as “La Concepcion”, and marvel at the panoramic views of the Royal Marine, the quayside, and the Modernist city center of Cartagena. 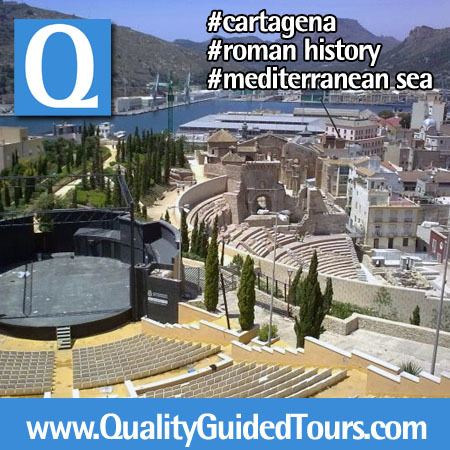 That’s the best natural “balcony” to discover the roman amphitheater in one side of this hill, and in the other side the 2nd largest spanish roman theater another “must see” not only in this region, all over Spain. 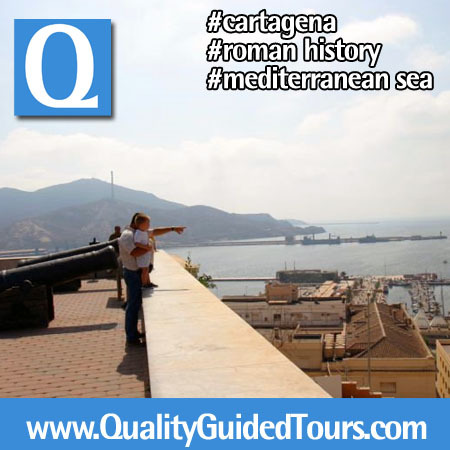 Your private tour guide in Cartagena will show you many details about this amazing point of view from the Conception Castle. 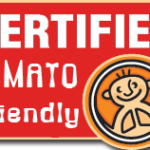 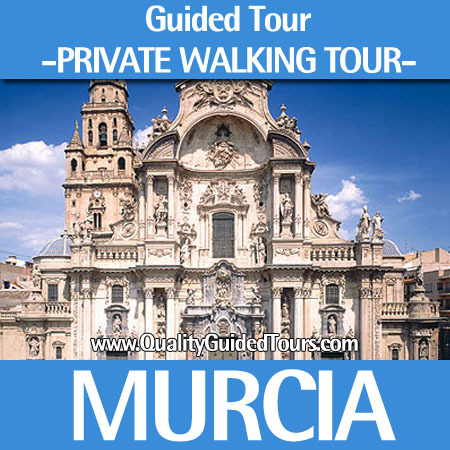 You will arrive there by private transport (car up to 4 people or mini-van up to 6 people). 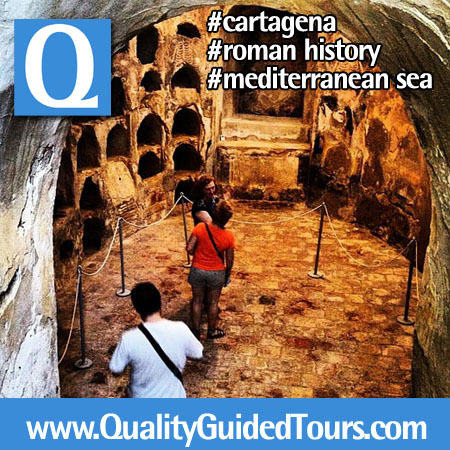 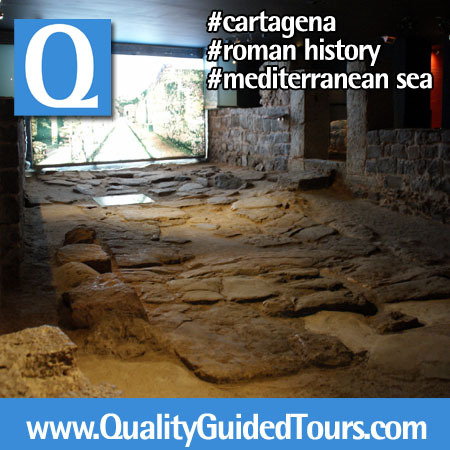 Afterwards, your private tour guide in Cartagena will tell you about the historical and early history of Cartagena and you’ll visit the Interpretation Center of the Punic Walls, which was discovered by chance and recently restored. 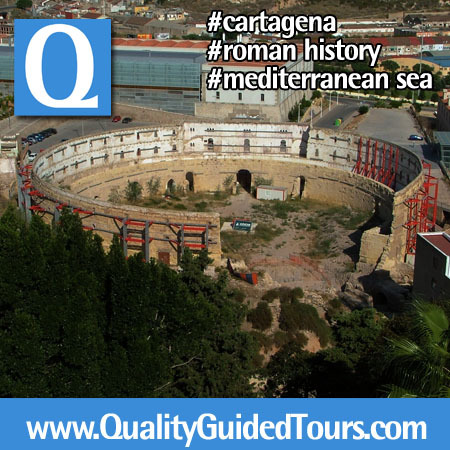 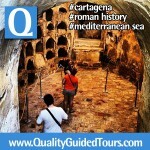 That’s maybe the oldest carthaginian defensive wall and the other “must see” in this harbour. 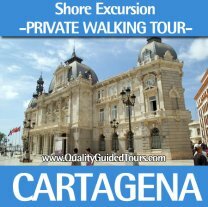 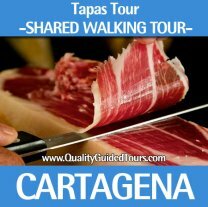 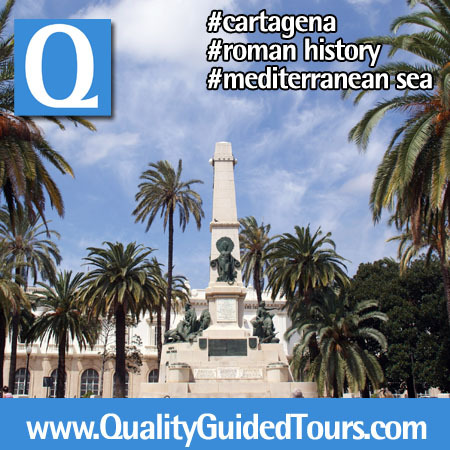 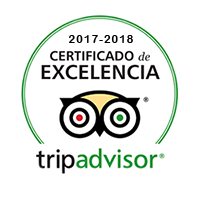 Finishing our Cartagena Spain 5 hours private shore excursions we will go for a walk with your private tour guide in Cartagena to discover the Calle Mayor where you’ll get a general idea about the economic boom of the 19th century. 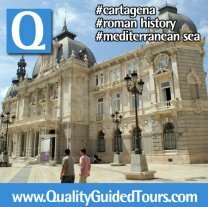 The Town Hall, for example, is a triangular-shaped building featuring 3 different façades. 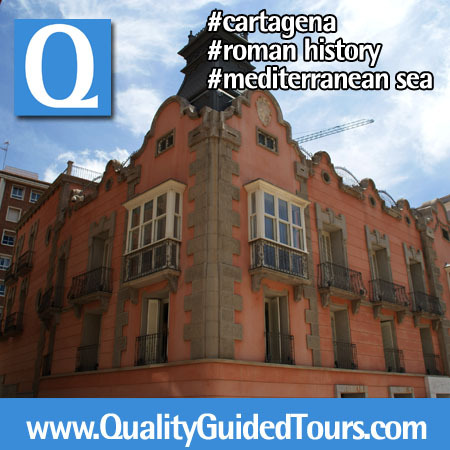 The Cervantes House boasts a façade featuring the white belvederes that are typical of Cartagena. 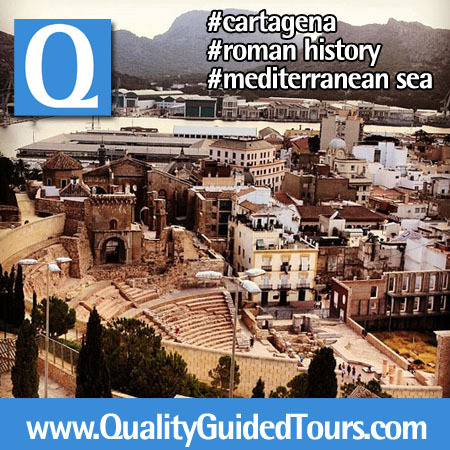 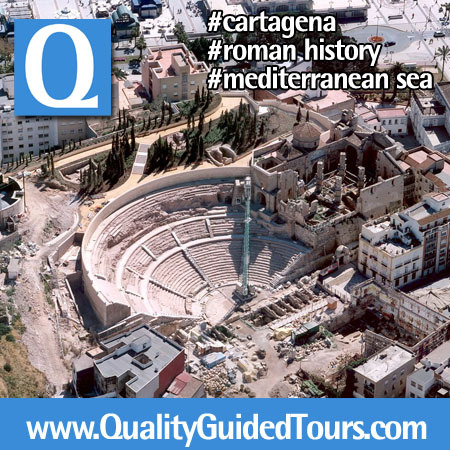 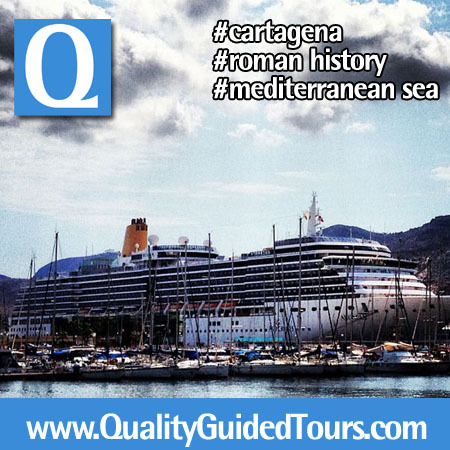 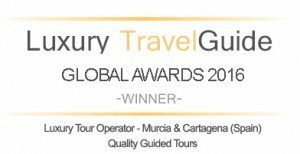 You’ll also see in this Cartagena Spain 5 hours private shore excursions, the Grand Hotel, which was built in the style of the Viennese and French Modernist schools. 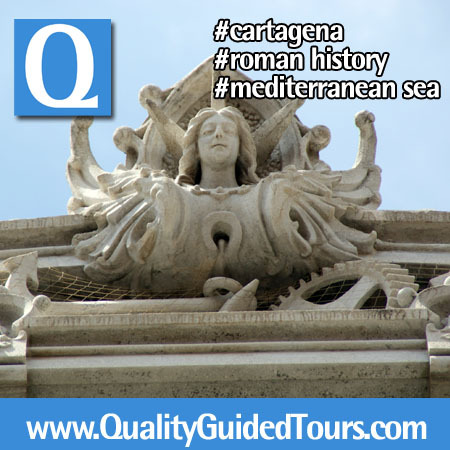 The hotel’s 2 façades are joined by a rotunda crowned by a spectacular dome. 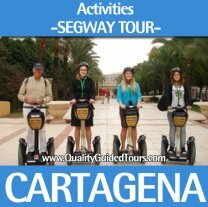 • Transport included by private car or mini-van up to 6 people. 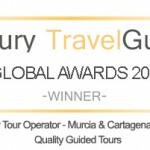 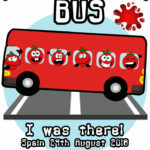 We offer the chance to book a car/van or mini-coach if you are a bigger group, ask for your special quotation.